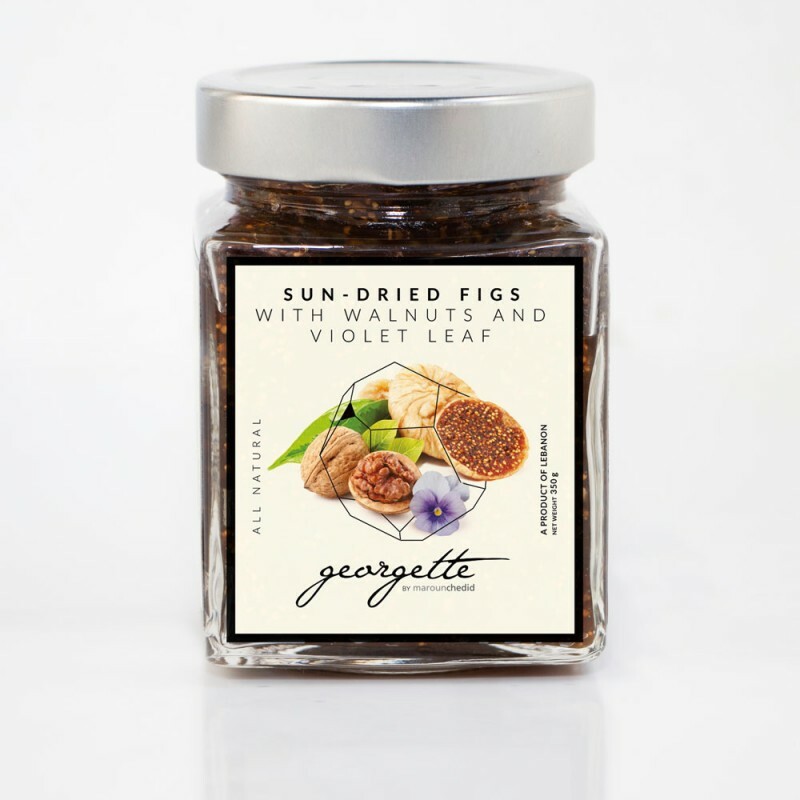 Dried figs, sugar, fresh lemon juice, natural violet leaf essential oils, sesame seeds, aniseed, walnuts. A delightful blend of Lebanese figs, walnuts, spices & flowers, this jam is the perfect choice for to serve as a complement to any cheese plate, or to spread on your favorite bread. Use alongside roasted pork or poultry.